The Inglis Easter Yearling Sale provides buyers with more than just racetrack results, writes Renée Geelen. It is a sale for breeders wanting to buy into the best Australian families, and this year’s catalogue of 450 yearlings includes 39 siblings to Gr1 winners, most of them household names in thoroughbred circles. Just consider the collective worth of this line-up, for example – all of which have siblings at this year's Easter Sale: five-time Gr1 winner The Autumn Sun (Lot 369), Royal Ascot Diamond Jubilee winner Merchant Navy (Lot 88), Gr1-winning 3YO Sunlight (Lot 274), co-champion 2YO Colt in Australia in 2016/17 Invader (Lot 14), Horse of the Year and Champion Sprinter Lankan Rupee (Lot 446), emerging sire Brazen Beau (Lot 243), Caulfield Cup winner Fawkner (Lot 417), international Gr1 sprinter Starspangledbanner (Lot 31), Blue Diamond winner Catchy (Lot 398), six-time Gr1 winner and emerging sire Dundeel (Lot 286), Champion Sprinter in Hong Kong in 2017/18 Ivictory (Lot 57), Hong Kong Gr1 winner Lucky Bubbles (Lot 390), Caulfield Guineas winner and young sire Shooting To Win (Lot 92), Golden Slipper winner She Will Reign (Lot 412), Cox Plate winner Shamus Award (Lot 293), Japanese Gr1 winner Aerolithe (Lot 366), Champion 3YO Filly in Australia in 2014/15 Delicacy (Lot 268), Australian Derby winner Jon Snow (Lot 163), Horse of the Year Igugu (Lot 341), and VRC Oaks winner Pinot (Lot 428). There are also a further 34 yearlings out of Gr1-winning mares, such as the first foal of Vinery Stud Stakes winner Fenway (Lot 6), second foal of Champagne Stakes winner Go Indy Go (Lot 29), Champion 2YO Filly Hasna (Lot 41), second foal of NZ Oaks winner Miss Mossman (Lot 126), second foal of Manawatu Sires Produce Stakes winner O’Marilyn (Lot 156), Oakleigh Plate winner River Dove (and dam of Gr2 winner Headwater, Lot 223), sprinter Our Egyptian Raine (dam of Gr3 winner Egyptian Symbol, Lot 164), first foal of NZ One Thousand Guineas winner Platinum Witness (Lot 182), Rostova, third foal of Coolmore Classic winner Steps in Time (Lot 287), first foal of Queensland Oaks winner Provocative (Lot 200), Champion 2YO Filly Headway (Lot 42), dual Gr1 winner Sacred Choice (Lot 238), first foal of USA Gr1 winner Stormy Lucy (Lot 288), NZ Champion 2YO Ananbandana (Lot 358), NZ Oaks winner Bramble Rose (dam of three stakes winners, Lot 385), Queensland Oaks winner Eskimo Queen (dam of Gr3 winner Dreamforce, Lot 444), and Australian Oaks winner Dizelle (dam of Gr1 winner Pinot and three other stakes horses, Lot 428). 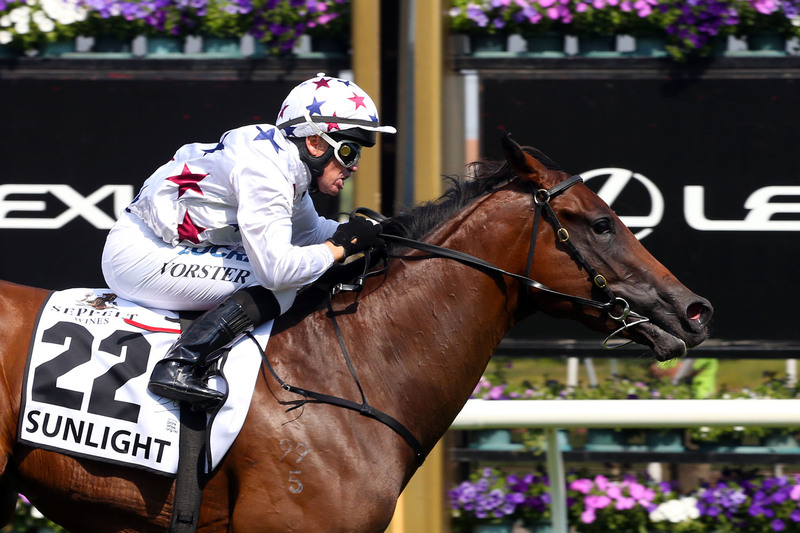 Elite progeny of Australia’s leading sires are on offer for buyers, amongst them Australia's Champion Sire Snitzel, with 37 yearlings entered for the 2019 Inglis Easter Sale, followed by Sebring (33), Fastnet Rock (31), I Am Invincible (31) Vancouver (25), Redoute’s Choice (22), Zoustar (21), Medaglia d’Oro (19), Pride of Dubai (19) and So You Think (18).